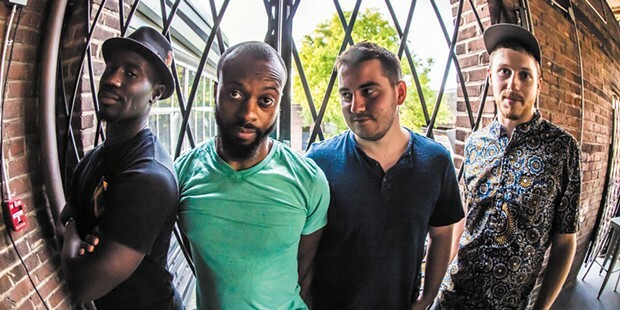 TAUK plays Sunday, March 20 at the Arcata Theatre Lounge at 8:30 p.m.
St. Patrick's Day is upon us (or past us, depending when you read this), the day us non-Irish look to simplify and reduce an entire culture to a Hallmark-esque version of binge-drinking balderdash ending in a black-out. Then there's the day after St. Patrick's Day, when we are biologically reminded that we are not Irish (to stereotype further). How did this holiday — which involves a saint that used to be a slave, who later drove the snakes out of Ireland with a stick — begin as a celebration of Irish culture and turn into the commercial equivalent of Valentine's Day, substituting hearts and chocolate for Guinness and Jameson? Beats me, but one thing I know is there is always plenty of live music to fill the soundtrack to our liquid indulgence. Have fun, be safe and listen to The Pogues for once this year. Why not hear some Irish music to feel a bit above the black-and-tan-swillin' masses? Seabury Gould and Evan Morden do their Irish thing for free at Gallagher's Irish Pub at 6:30 p.m.
Over in Arcata, Milwaukee-based singer/songwriter Willy Porter stops by the Arcata Playhouse to "blur the indie-folk/rock lines with his high-energy finger-picking style and thoughtful songwriting." He'll be there around 8 p.m. and he's touring with singing partner Carmen Nickerson in support of an upcoming album. I also hear that these two will be musical guests on my least favorite radio show of all time, A Prairie Home Companion (but I don't hold it against them). $17 for this show. The Jam in Arcata brings us some Grateful Dead covers — two sets, to be exact — from local Dead tribute act Rosewater. Get on your good foot and get grateful at 9 p.m. when friend-of-Rosewater Clay Adams starts with an acoustic set. The Dead tunes start around 10 p.m. Only $5 for a night of good vibes. I was in Ferndale this past weekend for the Foggy Bottoms Run (no I didn't run). I rarely make it farther west than the radio station — okay, the Palace — but as I stood around waiting for our kids to return from the 2-miler, I finally saw where the Old Steeple is. It is exactly where I thought it would be (246 Berding St., close to the VI) and that was comforting. Anyway, the venue and Artlife Original present singer/songwriters Johnny Houx and Cygne and live painting. Check out the new venue and let me know what you think. Showtime tonight is 7:30 p.m. and has a $20 cover charge. I saw Buddy Reed at the gym last week and puffed up my chest and introduced myself. Nice guy. Before Buddy hit up the weight room — and I headed to the stretching room to take a nap — he mentioned that he and th' Rip It Ups will be at the Speakeasy in Eureka for free at 9 p.m. Now you know. Humboldt Brews welcomes Boston reggae-rock "funkateers" Spiritual Rez at 9:30 p.m. They bring out the groove with some rock, reggae and funk and have been lucky enough to share the stage with Toots and the Maytals, George Clinton and Parliament Funkadelic and good-timer/cheeseburger king Jimmy Buffett. The band is joined by Diggin' Dirt for $10. A fundraiser for the Trinidad Library starts at 3 p.m. with Love and Legends: A Recital by PianoVoce which I am told is an "unabashedly romantic program, including music grounded in folklore and history." Expect some four-hand piano pieces by Dvorák and some guy named Claude Debussy. I recommend coughing up a $10 donation so they can continue to serve readers on the North Coast. Having grown up on Hatchet Mountain — somewhere off State Route 299 east of Redding — Rita Hosking writes and sings mountain spirituals. Now living in Davis, she still has the mountains in her mind and sings country-folk originals. She recently put out a concept album called Frankie and the No-Go Road which has been called "one of Americana's finest concept albums" by someone at The Observer. I don't doubt the quality of said album, but I'll admit to being extremely curious about the quantity of Americana concept albums out there (Dark Side of the Mountain anyone? Or maybe 4x4 Quadrophenia? Sorry). Anyway, Rita's eponymous trio will be at the Arcata Playhouse at 8 p.m. and will include some guitars, harmonica, banjos, dobro and, of course, a double bass. $15 for this one. And now for something completely different. ... Orgone is an octet fueled by soul and originating from the San Fernando Valley. Inspired by Funkadelic, Santana, the "Stax sound" and Muscle Shoals, this group will get the house moving tonight at the Arcata Theatre Lounge. 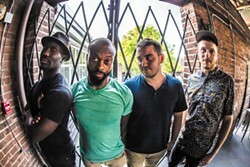 Joining them is TAUK, a "heavy instrumental rock-fusion" group from Oyster Bay, New York. Expect a blend of gritty funk, fusion, hip hop, ambient, progressive rock, classic rock and jazz. Jeez. $20 cover charge for this 8:30 p.m. show. With his album The Great Outdoors now only three days old, Andrew Bernstein will be sharing new tunes at Richard's Goat Tavern and Tea Room at 9 p.m. Good luck trying to keep images of John Candy and Dan Aykroyd out of your head during Bernstein's performance, but maybe that will only enhance the experience. The Baltimore-based sound artist will spin your mind, so make sure your body follows. Also on the bill is Tabor Mountain, who will take half of the $5 cover charge. 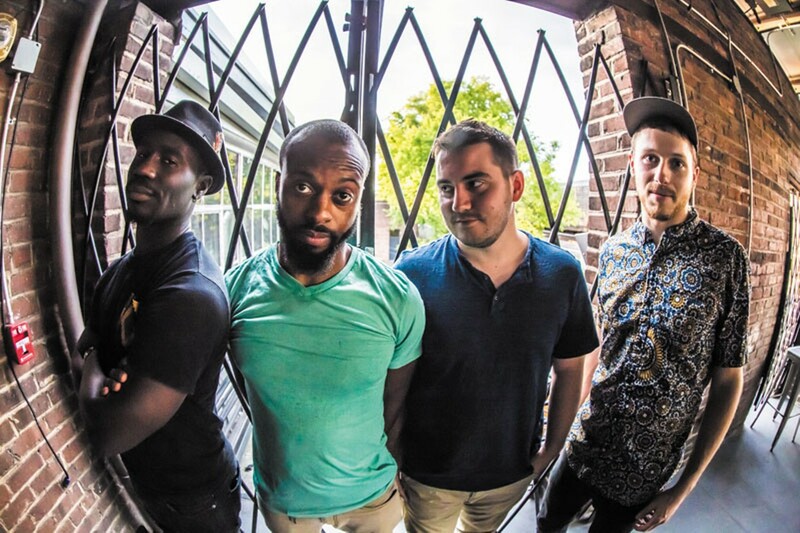 There's a good chance you will experience Yonder Mountain String Band's new lineup as the band performs at HSU's Van Duzer Theater. The progressive bluegrassers are touring to support a newish album, Black Sheep, although, as it hit No. 3 on the Bluegrass Charts, it's questionable how much support it needs. The new band line-up features Adam Aijala on guitar, Dave Johnston on hillbilly guitar (a.k.a. banjo), Ben Kaufmann on the bass, Allie Kral on the violin, and Jake Jolliff on the mandolin. Of this new album, Kaufmann states, "It's going to take some time for fans to get acquainted with the new Yonder. When you make a big change like we did, it's a huge thing. But the band is a force, and the album is such a perfect example of our new direction." Be there at 8 p.m. to hear new songs, and bring $30. On tour with YMSB is Polecat. Humboldt Brews hosts Hermosa Beach rock-reggae group Tomorrows Bad Seeds. For the record, I've seen the band name with and without an apostrophe and although the lack of that punctuation mark in this instance is grammatically incorrect, it seems a bit hipper, so I'll leave it be. You'll hear singles "Throwback" and "War Letter," the latter of which is a tribute to troops stationed abroad. Bring $15 for this 9 p.m. show. Andy Powell is a congenital music lover and hosts The Night Show on KWPT 100.3 FM weeknights at 6 p.m. He doesn't pretend to be Irish. Or use other cultures to justify his drinking problem.